Our mission at NitechIPM is to manufacturer high quality affordable stretch wrapping equipment. NitechIPM strives to offer an economical alternative to expensive stretch wrappers with a complete line of stretch wrapping equipment at affordable prices. Nitech IPM has been manufacturing stretch wrappers with straight forward features and economical pricing since 1963. When we developed our line of stretch wrappers we decided to focus on building a durable and dependable line of machines that would have all the features you need to wrap a product without the high price ticket. Our stretch wrappers are built using structural steel throughout the machine to hold up when wrapping loads that weigh up to 5,000lb. All operating controls, start, stop and dispenser controls use conventional toggle switches, dials and buttons for durability and long life. 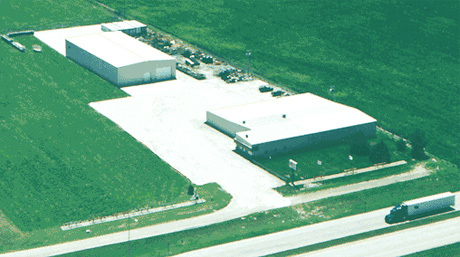 Nitech Facilities are located in the heart of the U.S.A.